Looking for a great time this weekend? Our second annual Wisconsin Grilled Cheese Championship is being held Saturday April 27 in Mineral Point Wisconsin. Last year over 1,200 people from at least 7 states attended. This year will be even bigger and better than that! It's going to be a great day in Wisconsin on Saturday. Take the beautiful drive to Iowa County and enjoy the excitement of this unique and fun event. Entry is free and fun is guaranteed. This year not one, but two, grilled cheese themed food trucks will be on hand to supply all your grilled cheese desires. Hours are 10 AM to 3 PM. Join us! What could be better than grilled cheese, and a great Spring day in beautiful Iowa County Wisconsin? 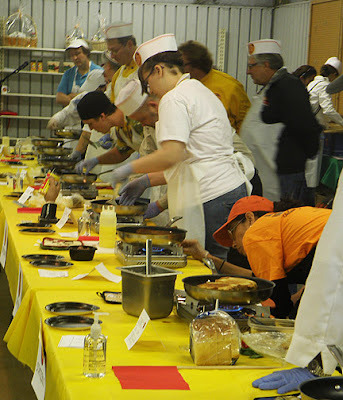 Learn all the fun details about the Second annual Wisconsin Grilled Cheese Championship! 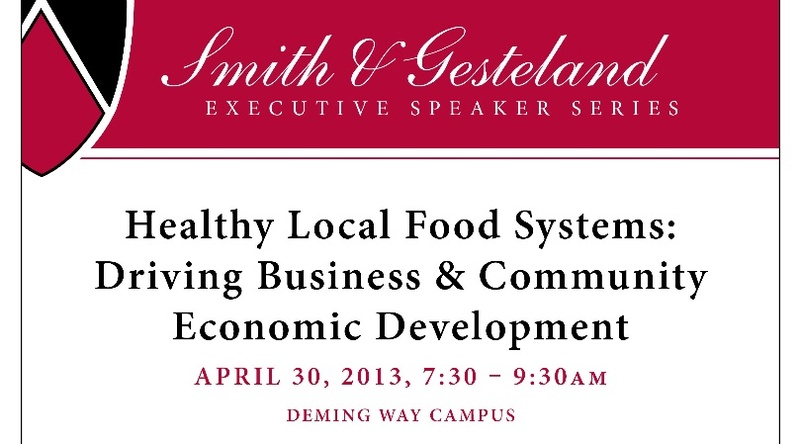 I'm honored to be leading a panel discussion later this month that will focus on creating business and community economic development by building healthy local food systems. I'll be be joined by my friend Peter Robertson, CEO of RP's Pasta, Carrie Edgar, Dane County UW Extension Department Head and Mark Woulf, Food Policy Coordinator for the City of Madison (WI). 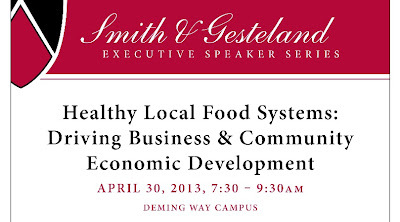 This event will be April 30, 2013 at the Deming Way campus of Edgewood College in Madison, WI. To me, the way to create economic and community development through food systems is to continuously build and strengthen robust business environments for entrepreneurs. We need to create better platforms that allow more small food businesses to launch, grow, succeed and even fail. There is great opportunity in this space. However, we need better focus on the business side of small food businesses. Thanks to Edgewood College School of Business and the Smith and Gesteland Executive Speaker Series for the invitation. Eight years of entrepreneurship writing. Happy anniversary Sustainable Work! 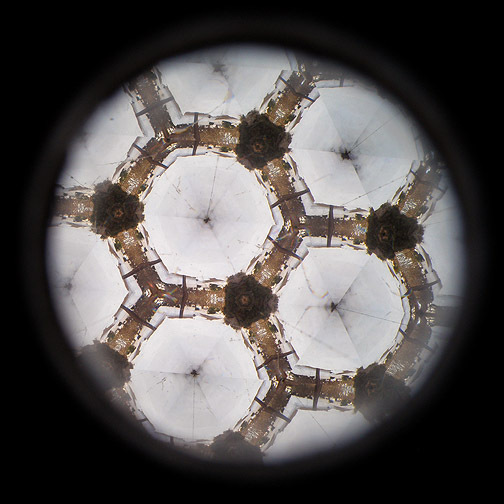 I love writing about innovation and entrepreneurship almost as much as I love doing it. Today is Sustainable Work's 8th anniversary. I've done startups in manufacturing/engineering, commercial graphics, software, education, economic development, and food. I've mentored and supported startups across the U.S. and I lend to startups worldwide. I wrote the masthead for this blog the night I wrote the first post, in a hotel room in Dubuque, 8 years ago. It followed a long day of installing one of our recycling systems at their John Deere plant. I haven't changed a word of the masthead - or the work of this writing - since. Entrepreneurship and innovation. You can do it. Welcome. Happy 8th anniversary Sustainable Work! One of the best micro entrepreneurship programs in the U.S. is based in Waukesha County, Wisconsin. I'm honored to be on the Advisory Board for the Small Business Center at Waukesha County Technical College (WCTC). Russ Roberts runs an amazing Small Business Center there. If you want to start or grow a business and you can get yourself to beautiful Waukesha County Wisconsin, this is a hot ticket. I got to catch up with many friends today including fellow entrepreneur Paul Decker, County Board Chair at Waukesha County. Waukesha County and WCTC represent a remarkable opportunity to start and grow small businesses. Thanks Russ Roberts and the Small Business Center at WCTC for all you do. Forward! 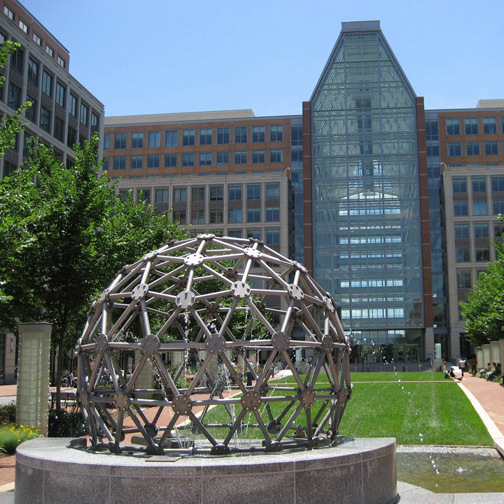 Photo is from US Patent and Trademark office showing off a geodesic dome, the work of my innovation muse Dr. Buckminster Fuller. I am a member of the Willy Street Co-op in Madison, WI. Our family values and enjoys the benefits of membership in this great organization. A recent piece in the Willy Street Reader, Five Trends Coming to a Co-op Near You, jumped out at me. It was written by Marti Ryan, Board President. In her piece, Ms. Ryan highlights the concept of 'clean food' as an emerging social trend. I find it pretty cool that in a recent article Wisconsin Innovation Kitchen customer Kevin Lucey talks about customers describing his Happy Valley Farm Tomato Juice as having a 'clean taste'. I used a quote from Ms. Ryan's piece at our farm business seminar this week at the Food Enterprise Center in Viroqua. "More recently, I’ve come to understand clean food as natural, organic, local, sustainable, fresh, safe, ethical, and healthy. And more Americans are interested in clean food: parents, folks who’ve developed food allergies, even kids." I love this concept and this language. While not all clean foods may meet all these goals, working toward them is a trend that is here to stay. The Innovation Kitchen business model works to develop these specific goals. Thanks to Ms. Ryan for her valuable insights. Five Trends Coming to a Co-op Near You. Willy Street Co-op. I support and admire this great organization.